All it takes to have a good adventure is to say “YES”. Like this one day hike to Mt. Mauyog. 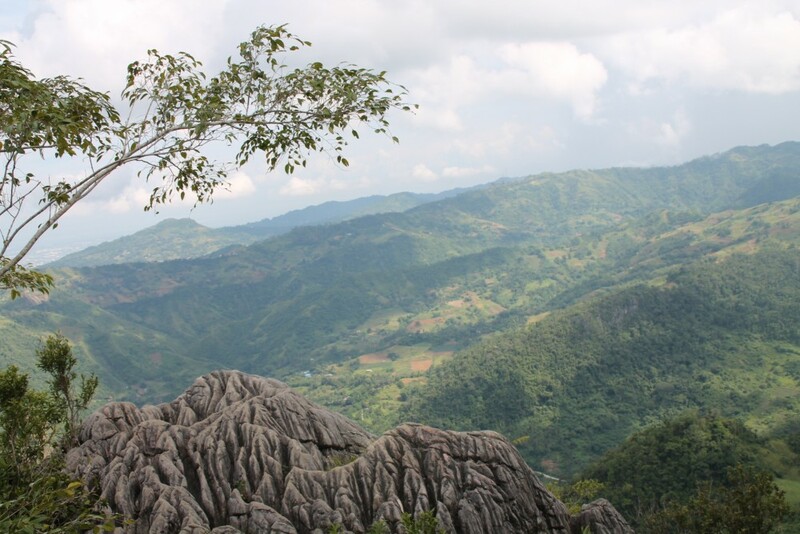 Located at Balamban, Cebu and near from the historical Mt. Manunggal. A friend of mine, Daboy asked me to join this activity 2 days before the actual trek. With only two familiar faces I know, Sheina and Daboy, it actually went well. Let me tell you a little story, before meeting the whole group, Sheina and I accidentally joined another one, thinking that they were the group we’re about to trek with. While waiting for Daboy, we actually found out that we were waiting with the wrong people. Good thing Sheina asked them where they’re going. Hahaha. I wonder what will happen if we actually went with the other group. So basically, as some of the experts say, that Mt. Mauyog is more challenging that Mt. Manuggal. I can’t second demotion on that because I never been to Mt. Manuggal yet, soon….maybe soon. But I can testify that the trail was quiet steep for a beginner like me. The trail was just an hour trek to the summit. All I can say is, going up was easy, but going down was another story. We actually went to two summits. Though the two were not far from each other. They offered different view and beautiful rock formations. Descending, we went on a long route. It was that long that we manage to have some wordy game to keep us sane and not be bored on our way. But all in all, it was a day well spent. You may chatted a jeepney from JY to Catipla for Php3000.00 like we did. It will take you around 40 minutes to get there. Have you ever tried hiking before? Where? Tell me about your experience! Just comment below. Also, follow me on Facebook and Instagram!